There is, I suspect, a gap in the "selling pu'ercha to Westerners" market, which exists between the cheap-and-cheerful and the terrifyingly expensive. 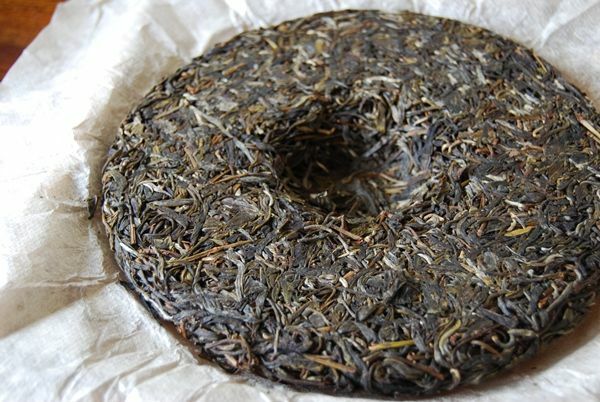 While some of my favourite tea-merchants, such as Yunnan Sourcing, started out at the basic end, they have drifted to varying degrees towards the middle-ground; usually, these cakes are made by themselves to some extent. However, there is still plenty of space left for innovation and new products, which is why I welcome the presence of outfits such as Chawangshop. 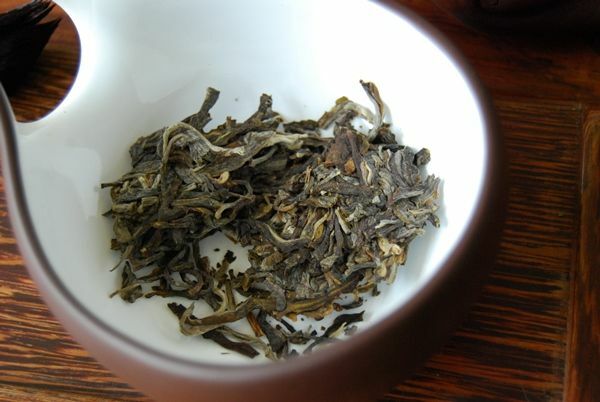 Little from Chawangshop has passed my way, with the exception of a 2011 Yiwu kindly sent by The Jakub. That latter was not expensive, but, to my tastes, a touch flat, for all its charms. The 2012 cakes from Chawangshop seem markedly better; perhaps "practice makes perfect" in this case. The sample was provided by the owner of Chawangshop, along with a few others. I must confess that, while I try to buy all my own tea, often the hectic nature of everyday existence prevents me from getting around to it. Sometimes, it's all I can do just to get my dear son ready in the morning, and off to nursery, before cycling to my lab and working for my daily dollar. 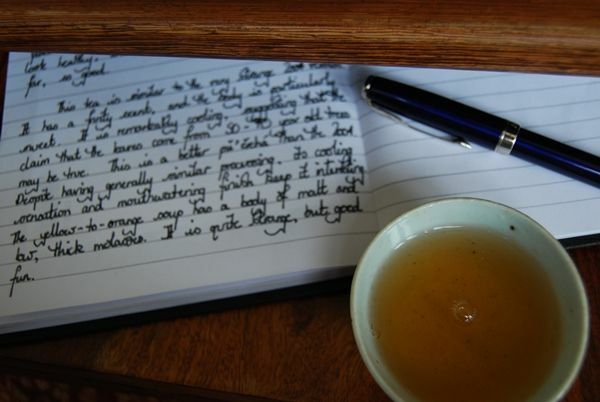 Lately, I notice that I have been drinking a lot of samples provided by the generosity of tea-chums and some tea-sellers. I raise this so that you can consider my biases, conditioned on the fact that I was given this sample. Bias or no, you must surely agree that the chunk of leaf shown above is pretty to look upon. The leaves are loosely compressed and have an extreme scent of fresh green leaves. Even the photograph brings back to mind (nose) the forthright and potent aroma that greeted me on opening the little sample bag. Happily, these first impressions continue over into the actual tea itself, where the aroma cup contains spicy, potent butteriness. "BICY! ", as my son would say. 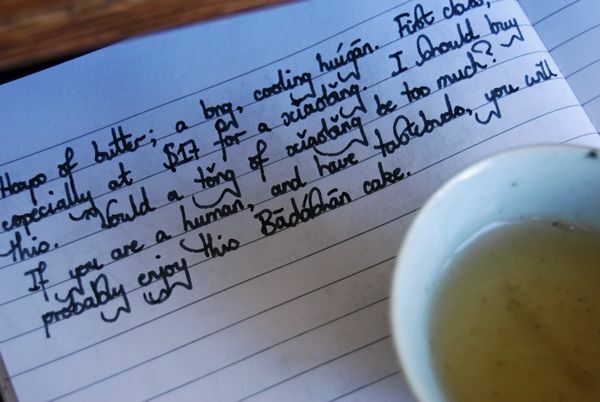 The soup is a straightforward yellow, which is a good colour for a young Badashan cake, wouldn't you say? If it is not too fanciful, I imagine hints of green colour in the yellow soup, such is its extreme youthfulness. It is good to take young cakes with a little caution, given that they often settle down over a period of some months. That said, a cake that appears packed full of sheer content is probably going to seem just as good a little further down the line. I liked this cake. 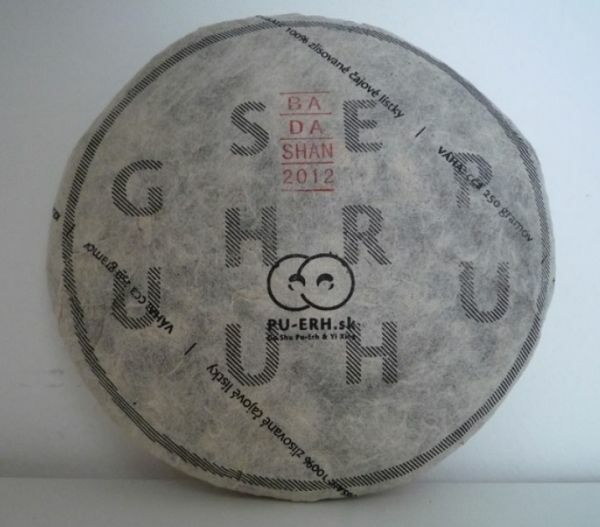 It is, perhaps, not quite up to the grevious bodily harm of the 2012 Pu-erh.sk Bada, but it is a good example of the region. I found there to be heaps of butter, and a long, cooling huigan, atop a solid basis of Badashan green-grass sweetness. As shown above, I was initially considering a tong of this cake, but then San Diego and Brunei got in the way. If you own some of this tea, I hope that it performs well for you! 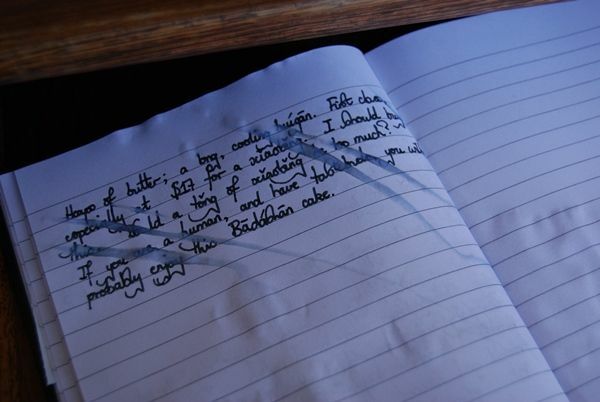 I am a clumsy man, as may be concluded from examining the photograph below. I cheer whenever Xiaohu sends a precious item flying to the floor, safe in the knowledge that my genes have at least passed on something. I enjoyed the power of this cake, which it combined with a very solid sweetness that just refused to budge. Encouragingly, it stood up to the punishment of hard-and-fast brewing for extended periods, and it is this refusal to be bullied that impressed me with its potential (such as my limited experience would have it). It just wouldn't give up. If there is a moral to this story, it is that I cannot own everything that I wish to own. That, in itself, is a very healthy ending, I think. Sometimes, it is good not to have everything. HH the Dalai Lama himself said that it is healthy not to partake of and attempt to own all that we desire. 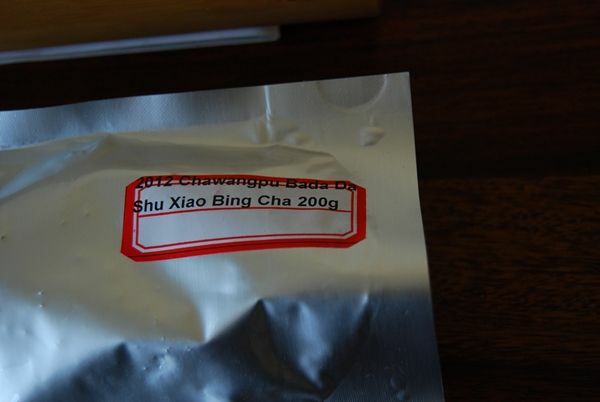 Thanks again to Chawangshop for introducing me to this excellent little tea. $17/200g is (was!) a very decent price for a cake so reliable. 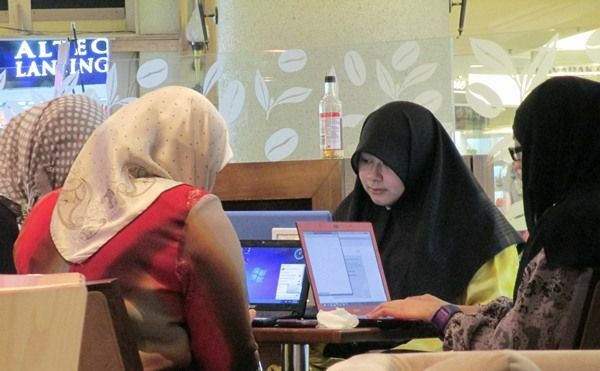 Brunei should be a good place for tea. The nearby Malaysian region of Sabah grows decent tea; Brunei itself is a tiny country at the northerly tip of the rainforested island of Borneo. Oddly, tea culture hasn't really caught on. What has caught on in a big way is: (i) the absolute authority of His Majesty, the Sultan; (ii) Islam as a state religion which reaches into many aspects of private life; and (iii) huge income from oil and gas. This latter causes it to rank sixth in GDP per capita, of all the world's countries. The formal name of the country is a clue to the feeling here: "The Abode of Peace". All of this is contained within pristine, virgin rainforest. 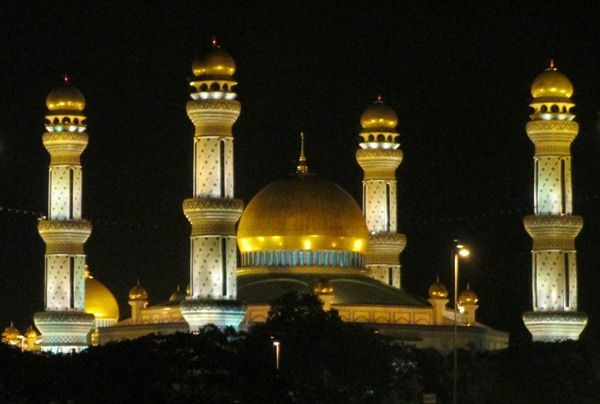 Brunei is unique, and takes some understanding. 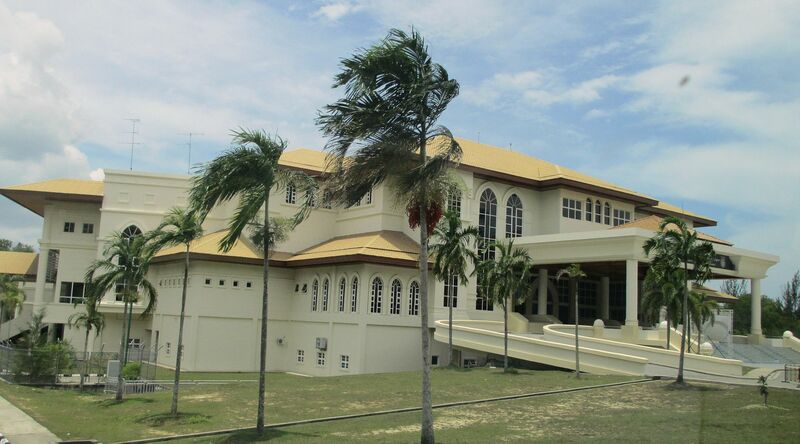 The country is in parts Malay in outlook and temperament; Islamic in structure and regulation (alcohol and public dancing are illegal); tropically Asian in situation; and oil-rich in national affluence. 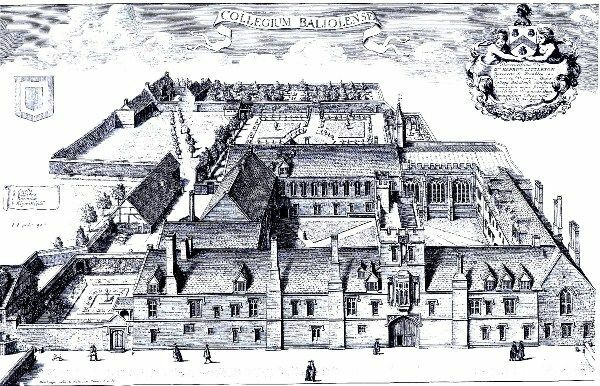 The main university, an example building of which is shown above, is really rather special; most of the buildings have been constructed recently, thanks to the munificence of the Chancellor who is (you guessed it) His Majesty, the Sultan*. 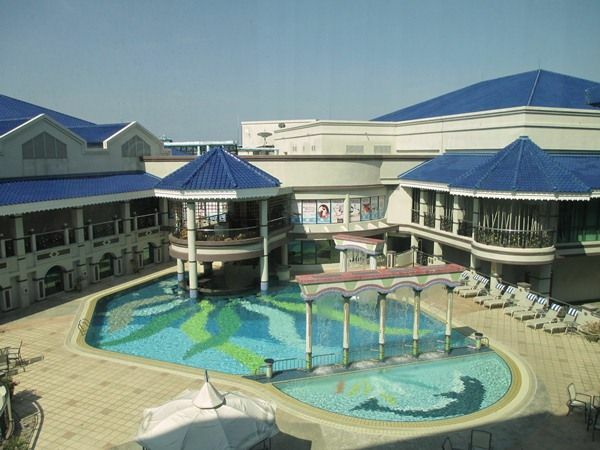 The style is south-asian, and yet this is combined effectively with modern materials and design. When the vice chancellor said "money is no object", you begin to see evidence of that statement in every building on the rather huge campus. *His Majesty is also the Prime Minister, Minister of Finance, and Minister of Defence. He is also admirably capable as a ruler, and seems to care genuinely for the well-being of his subjects, who lead a comfortable life. What little "down time" was granted to me by my hosts was spent in a coffee shop, getting to know the imported Darjeeling (pictured above). Tea is more of a background commonality, here; coffee is granted a degree of status, perhaps due to its relative novelty. Despite all of its oddities, Brunei is quite charming. Pictured above is a typical scene from my favourite coffee shop, which reminds me that, despite geography and culture, most people of the world are fundamentally similar. 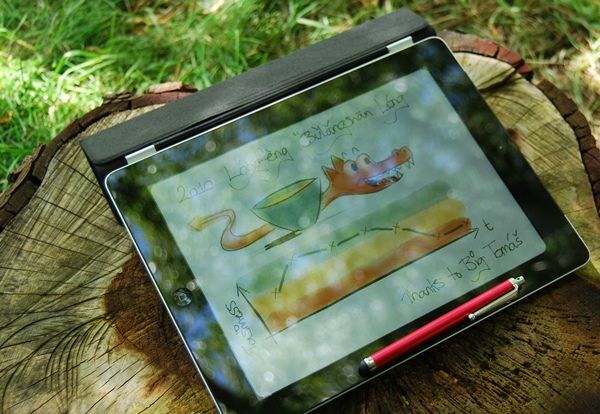 All we want is wi-fi and the ability to post embarrassing photographs of our friends on Facebook. 9 a.m. under the willow tree. This unusual turn of events is caused by the extraordinary coincidence of (i) a (very short) period of good weather and (ii) my annual leave. Let's go and soak up some sunshine while the window of opportunity remains open. The Czech tea-merchant Longfeng has made some good cakes in the past, it seems. 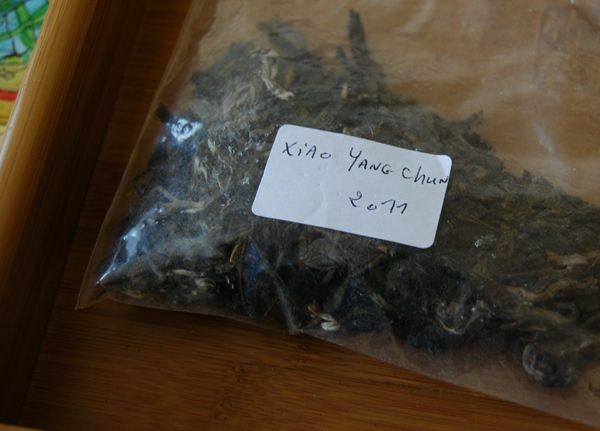 Some controversy exists concerning collaboration between Longfeng and Scott of Yunnan Sourcing, and it is not for me to delve into it. Suffice to say that the history between the two tea-producers is... Czechered. 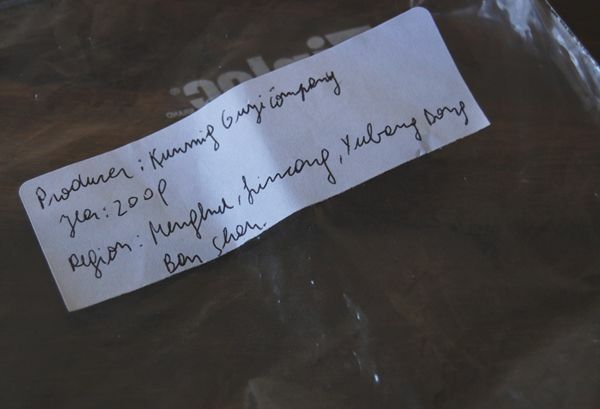 Politics aside, let's examine the tea, which is one of a pair of 100g cakes made from Bulangshan leaves. The symbology of the "dragon and phoenix" refers to the husband-and-wife pairing that results in these cakes being called "the wedding cakes". 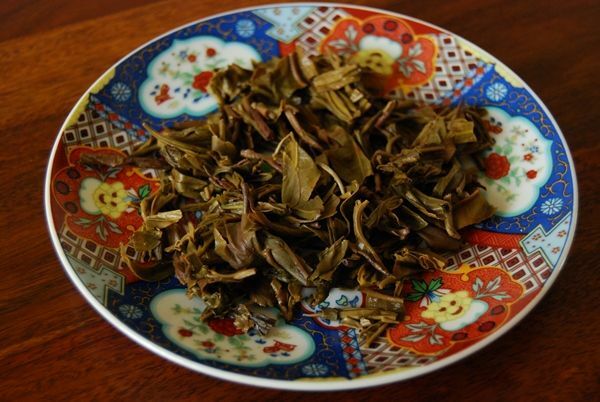 The leaves of this "dragon" version are small-to-medium in size, as shown above, and they have a lovely, low aroma. 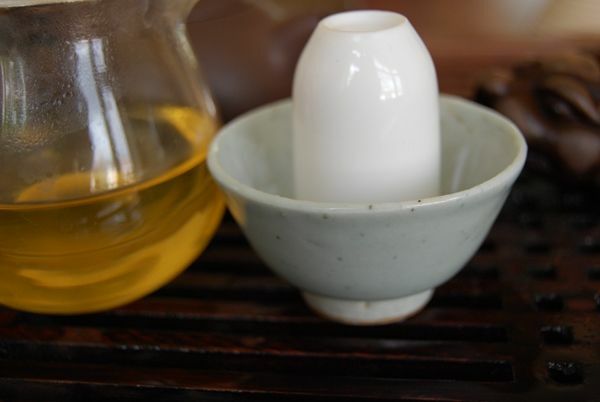 It can be tricky to detect scents in the wenxiangbei [aroma cup] while in the garden, due to the overpowering sweetness from the nearby honeysuckle and fruit trees; that scent that I can detect is clean and sweet, in the manner of white sugar. It soup starts yellow-brown, which is a shade that is always difficult to capture accurately on camera. The very pleasant sweetness burrows its way under the tongue, resulting in good shengjin [mouthwatering sensations]. While it coats the roof of the mouth well, its body of flavours seems muted - perhaps that is the fault of the water out here in the garden, which is delivering from a Thermos (vacuum) flask. All is forgiven, however, in that mouth-cleaning finish, which is accompanied by a strong cooling sensation, and a pleasant numbing of the root of the tongue. 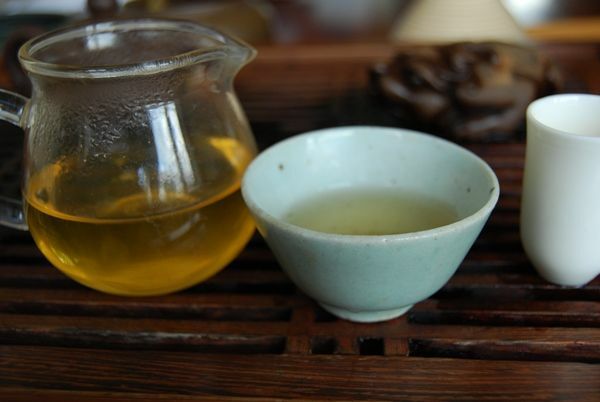 The power of the tea recedes by the sixth infusion, after which it settles into a comfortable sweetness. 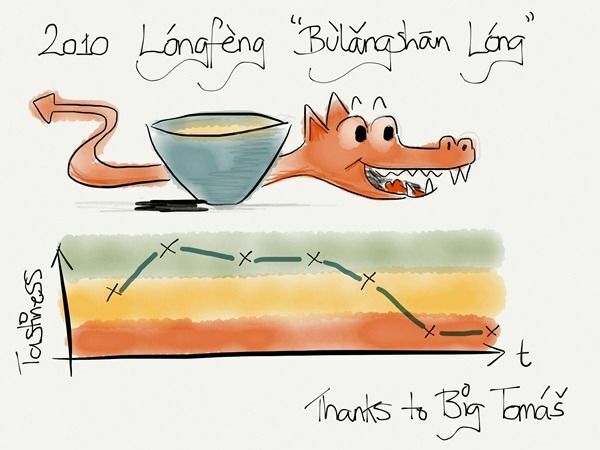 I don't know if I'm reading the Longfeng web-site correctly, but I get the impression that a pair of 100g cakes (dragon + phoenix) costs 1,000 Czech koruna, which is roughly $50, or £30 in real money. Not cheap, given the tiny size of the cakes, but you might like to try this rather enjoyable and well-produced Bulang. 100g is really just a "nibble", after all. It's a decent Bulang. 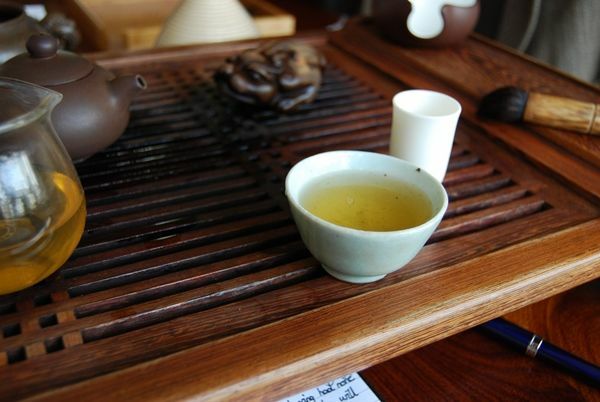 2012 Essence of Tea "Guafengzhai", "Dongbanshan", and 2009 Guyi "Dongbanshan"
Gentle Reader, we are back from San Diego, a city quite remarkable: stable, comfortably warm weather; fragrant bayside restaurants and hotels; a population that appears to be slimmer than anywhere in England. It is a really lovely city in its situation by the bay, although it's good to be home. I'm relying on pu'ercha to help me regain my equilibrium. 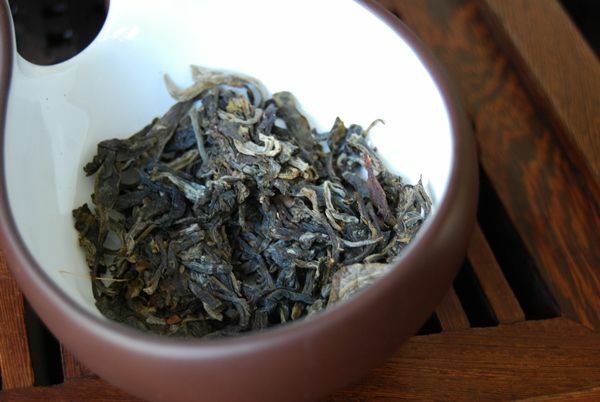 Along with the "Bangwei 33", this is the other of the 2012 cakes from Essence of Tea that I like very much. We may be expecting the 400g cake to be rather pretty, given the form of Mr. and Mrs. Essence when it comes to the selection of healthy, visually-appealing leaves. The photograph below makes me thirsty for tea just from looking at it, and I have been drinking all morning. Correct me if I'm wrong, but I don't remember there being neifei [inner labels] for Essence of Tea cakes; this could be my woefully poor attention-to-detail in previous years. Below, nestled in the pretty leaves, the label looks rather cosy. The leaves are huge, as pictured below. I appreciate the inclusion of stems, which I think adds a little to the overall complexity; when making "single mountain" cakes, any complexity is worthwhile, given that there could feasibly be a danger of becoming rather one-dimensional when a single source for maocha is used. The scent is fresh and sweet, but otherwise unrevealing. The cups shown in the photographs, generously provided by Mr. and Mrs. Essence, have since become part of our daily routine, and we couldn't imagine life without them. Their thickness and density are entirely suitable for drinking pu'ercha, and they retain the heat particularly well. 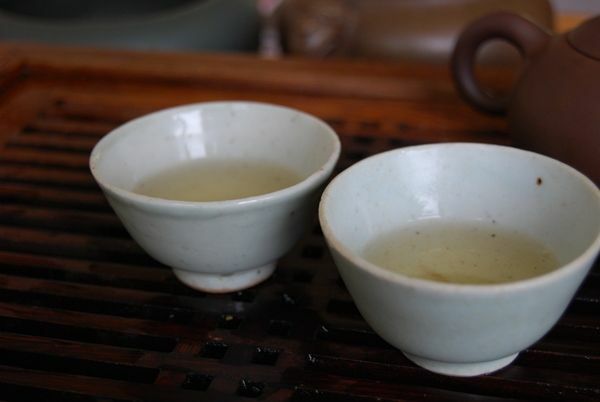 The scent in the wenxiangbei [aroma cup, shown above] is of dazzling white sugar which slowly... very slowly... turns into a darker sweetness. 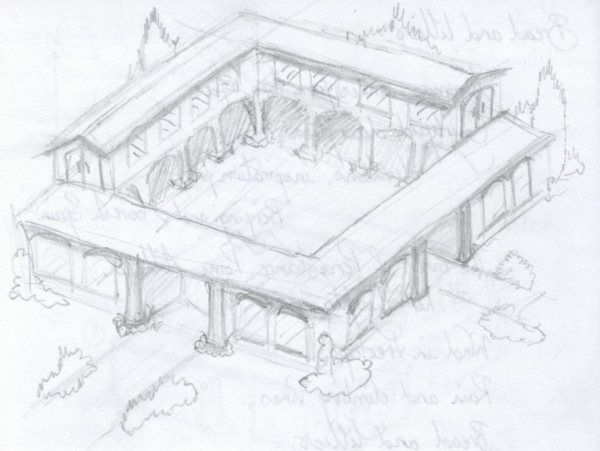 This progression is remarkably slow, and powerful at both the start and the end, which encourages me. "The pace and duration are both good", my notes read. The soup is vibrant, very green in character, and finishes with an excellent cooling sensation. It is properly heavy in texture, and imparts a kuwei [pleasant bitterness] that remains suspended in the mouth. 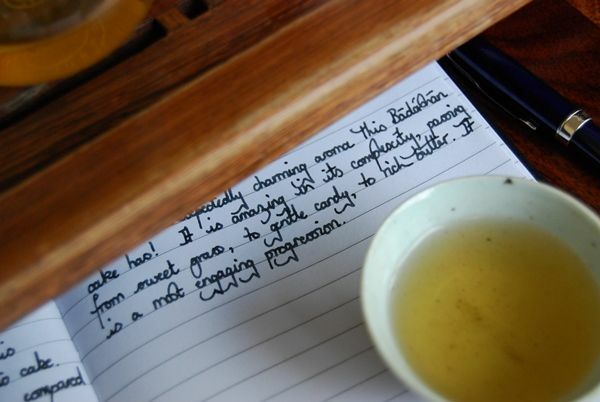 Its potency is such that it is easy to overbrew, which is a most welcome characteristic - I like teas that have a lot to offer, and which could quite happily overwhelm you with their contents if allowed to do so. This is not a feminine Guafengzhai cake: it is strong, bitter, cooling, and penetrating. It is "too big to fail". This includes its price, which is an entirely wallet-destroying £128. Being frank, I cannot say that it is worth paying such a fee; for the price of two such cakes, one could buy some seriously enjoyable, decently aged, pu'ercha. Judged on its merits as a cake, however, it is delightful. Caveat emptor. 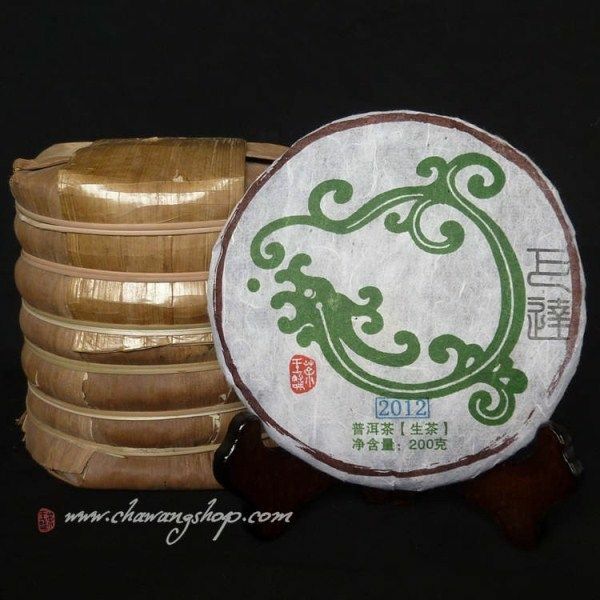 Changing gear, I compare a pair of Dongbanshan cakes - one from The Essences, and one from Guyi. This sample was very kindly sent to us by Mrs. Essence. Dongbanshan is in the Mengku region of Lincang prefecture. "This tea is quite light; it is good for my pregnancy", observes my dear wife, who is otherwise careful to avoid drinking very much tea. This cake takes a little while to rouse itself to action, and, while not a big "flavour" tea (which is not a bad thing), it resounds in the throat. Its grassy, fresh, light feeling reminds me that it is time that I cut the lawn. After coming in from wrestling with our lawn-mower, I am ready for some more tea. This 2009 Kunming Guyi version of a Dongbanshan cake was kindly provided by ME, who lives in a seriously warm part of the world. 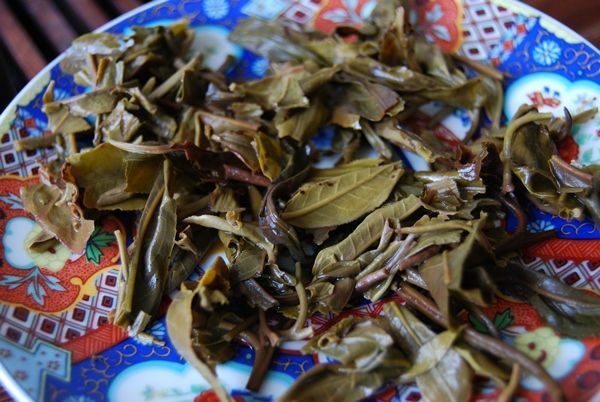 The leaves, shown below, have been well-preserved by the use of stone moulds to press the tea. The scent is fresh and sweet, and quite active. This is a much more punchy version of Dongbanshan than the Essence of Tea cake, but is a little more mainstream in its provenance. Tuochatea sells this for a correspondingly reasonable price of just $15. This latter tea merchant does not attract a lot of attention, but is one of the stalwarts of the Western pu'ercha market, having been selling tea at very reasonable prices for quite a long time. I recall buying from them for many years - never very large quantities, but always interesting, low-priced cakes. 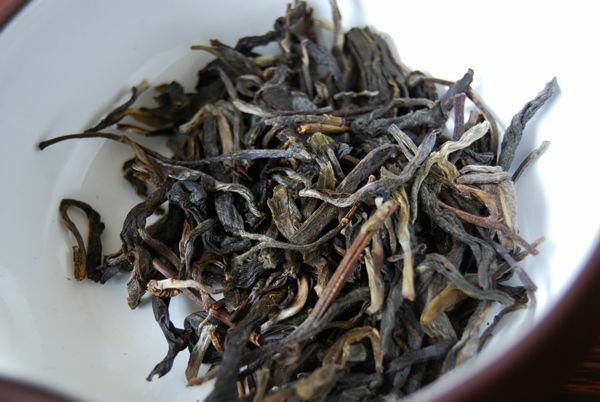 Every now and again, there is a complete winner on offer, too, such as the 1998 Menghai "Peacock" tuocha, which has aged so very well. 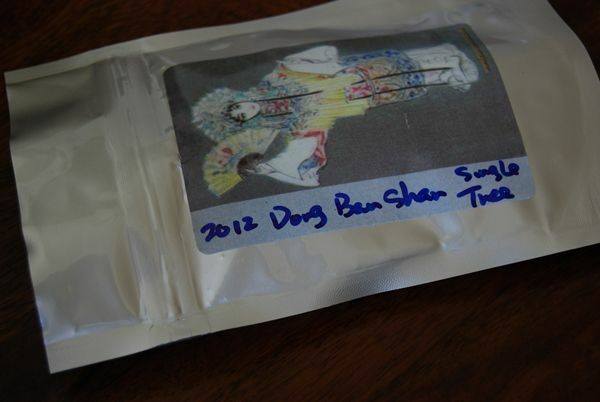 This $15 version of Dongbanshan is clean and proper, and very "dry", as with some white wines. 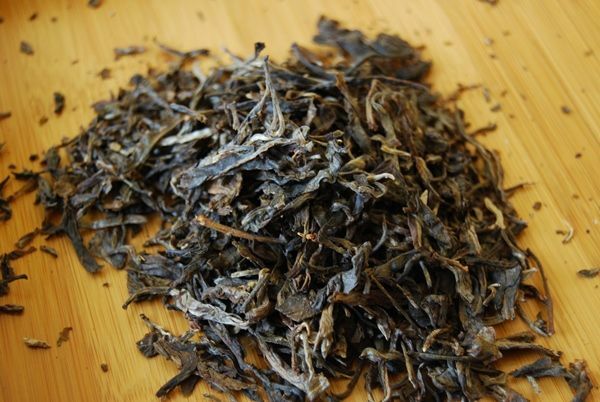 The kuwei is crisp in the finish, and I am pleased by a collection of granary sweetnesses that are clearly Lincangian in their origins, and which were absent from the Essence of Tea version. For such an inexpensive cake, this little version has a welcoming mouthwatering finish and is great fun to drink. It is challenging, but not rough; it is balanced, but not dull. I don't know if I would pursue this in huge quantities, but it is decent for the price. Thanks to Mrs. 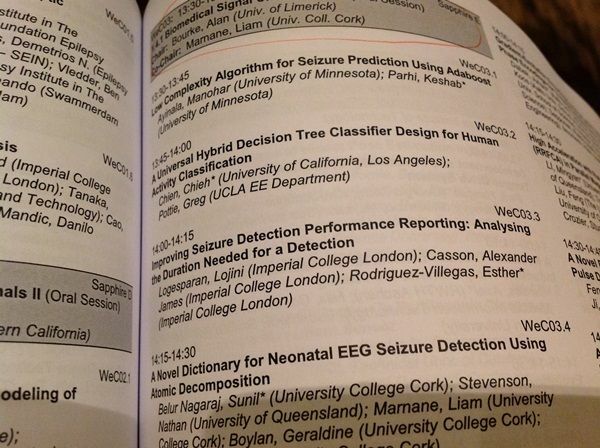 Essence and ME for the thoroughly enjoyable sessions. It's not often that I drink a tea and then sprint upstairs to the computer to buy some. 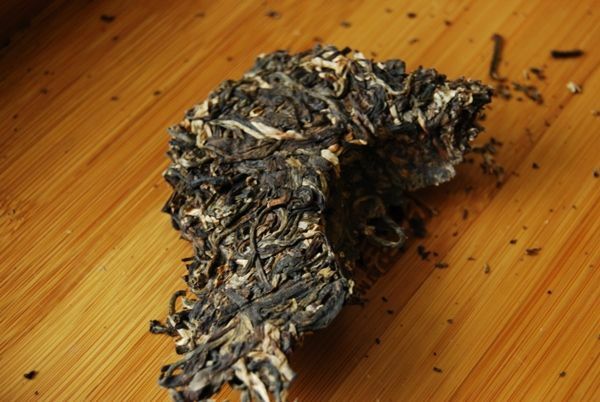 I've been a quiet fan of Pu-erh.sk since Peter, the owner, was kind enough to send me samples of a range of cakes that had sold out ages ago, such was their popularity. His productions have become popular, and rightly so. I missed the party, entirely, because his web-site was a howling wasteland of nothingness where once there were cakes for sale. In my article on his 2011 Bada cake, I wrote "I hope that he makes more cakes in 2012; I'll be hovering around the web-site like a moth attracted to a bright light." The lights are on again! I liken Peter and his cakes to the dealer of dodgy substances that is confident in the addictive quality of his wares. "The first hit is always free." My first hit came in the unassuming little brown packet pictured above. The leaves of all Peter's cakes are quite fragmented, as shown above. Of all of his 2012 productions, the Bada leaves are the smallest, and the tippiest. The scent is very fresh, very sweet, and, predictably, as grassy as Badashan leaves usually turn out to be. "What an unexpectedly charming aroma this Badashan cake has!" I wrote to myself. It is amazing in its complexity, passing from sweet grass, to gentle candy, to rich butter. It is a most engaging progression. Likewise, the first infusion is really rather special, packing in all of the sensations for which you would hope (thick soup, huigan, endurance, vibrancy) along with a slug of complex compounds that mix grass, flowers, butter, and all of the other transients that age, and infusions, will soon wear away. The cooling sensation of the soup even penetrates under the lips and around the gums, eventually numbing my tongue. This sounds dreadful, perhaps. I brew this cake into the ground, pushing it to infusion after infusion, and am rewarded by a consistency of dense sweetness that is quite remarkable. We must be wary of first infusions, with their transient charms. 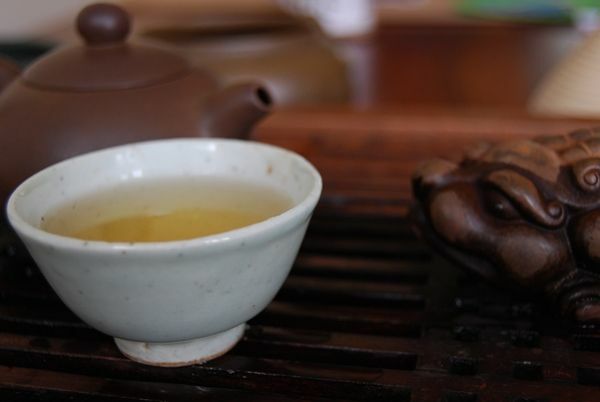 The sixth-through-tenth infusions in a young tea are really what separate the men from the boys, and indicate the potential for aging, I believe. Certainly, the cakes that are turning out to age the best for me are those that could be pushed (and remained solid for) large numbers of infusions. Conversely, if a tea falls apart after repeated brews, then it may not well last under the action of the years. I wouldn't like to make proclaimations on aging, but merely report my experience. Naturally, there are exceptions, but the correlation is statistically significant - if my small sample size could be considered so. I was left exceedingly happy with this little cake. It is easily the best of the 2012 cakes that I have tried to date (including several that I haven't yet written about), and can heartily recommend it to you for at least a sample. I notice from Peter's web-site that you can buy 10g or 50g subsections, which is a very sociable alternative. 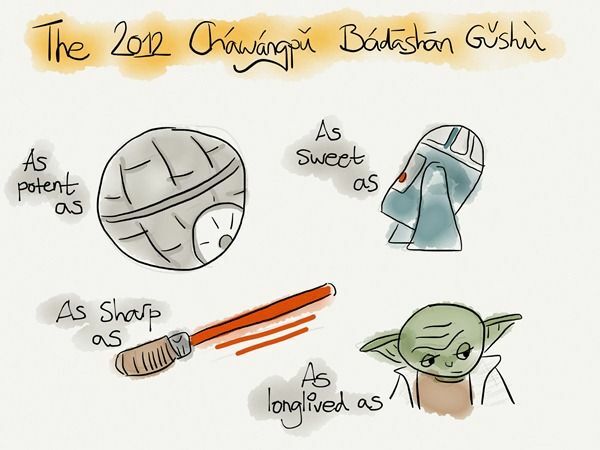 Before we leave it at that, I should add that it appears I have rather come to like Badashan cakes. I believe that there is something of Stockholm syndrome occurring here: for many months, a number of years back, all of my tea was in storage while our house was renovated. I was only able to drink a Menghai "classic" cake, in my office, which happened to be from Badashan. I abhored it at the time, as one would after drinking something mainstream exclusively for many months. However, I notice that I have come to love that which held me captive against my will for so long. Therefore, if Bada cakes are not your thing, then you're probably not going to like this. It is a great cake in its own right, but, if you like Bada cakes, then you're in for a real treat. I hope the postman hurries. I might make this tong the "birth tea" for our expected baby, depending on the cake's progress. 2011 Mengku Jinqiao "Xiaoyangchun", 2005 Jinuoshan "Taiyanggu"
Being a junior academic is a lot of work. 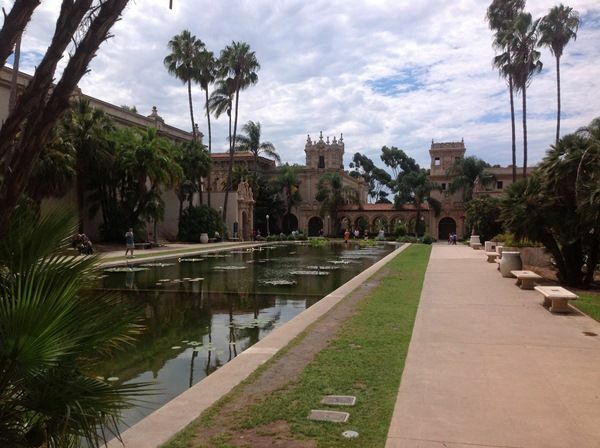 Specifically, attempting to get tenured is a lot of work. It's like pulling teeth, and about as painful. It is a siege that seemingly has no end. Sieges are never very comfortable, both for the siegers and the siegees. I'm still undergoing this particular siege myself; I may or may not be getting closer to the goal. Time will tell. This agonising process is made all the more intricate by the Byzantine nature of the university that employs me and my dear wife. I won't bore you with the details of the bizarre structure, which is the result of a long period of (very) gradual evolution. Suffice to say that, if you want to achieve something, you need to be ready to engage in what Bismarck termed "the art of the possible". A consequence of this preternatural institutional convolution is that I end up moving around. From year to year, I proceed in an ever-so-gradual series of incremental steps towards heaven-knows-what. Looking back over the pages of this humble site, I see that some of these moves have made it into the images: my move to a college that reminded me of my grandmother's house (and to where Xiaohu has been going to nursery); a move to a little place famous only for having the fictional "Professor X" among its alumni; a move to a much larger place, famous for being almost entirely Welsh. You can even buy stress-relieving "squeezy sheep" from the Lodge of that last one. 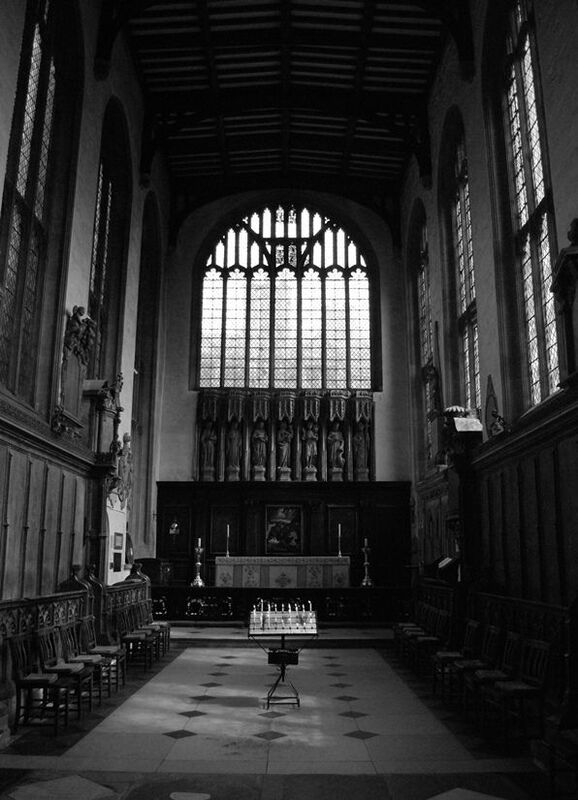 The academic year in England (and perhaps elsewhere?) starts in October, which means everyone's permutations occur in the preceeding months of summer. 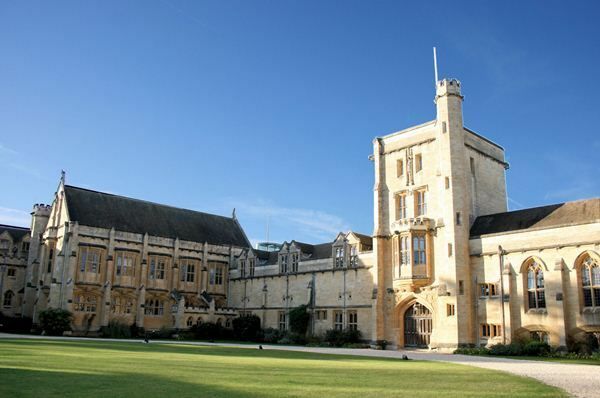 Although not tenured, I have somehow been appointed as a Fellow of the college above, and a Lecturer of the college below, which are titles that are misleading when translated into the academic structures of other universities in England, let alone into those of other countries. Fear not, I remain your humble, and entirely junior, dogsbody for the time being. If there is some advantage in this latest move, it is that I will (hopefully) not be leaving these positions, as I have those in years past. This place really needs an explanatory rulebook. I first came here in 1998, and I'm still often taken by surprise. 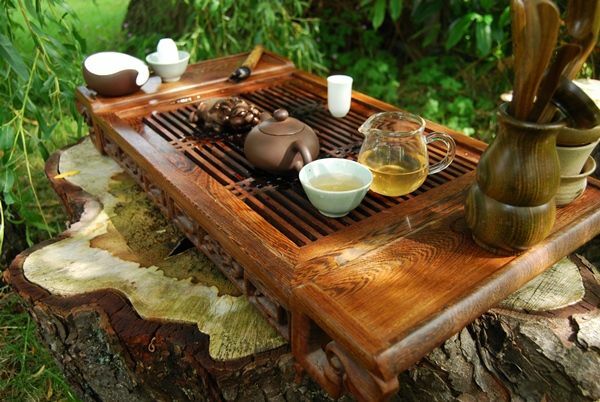 After a hard day's politicking, the tea-table seems comparably straightforward, and a delight in its simplicity. 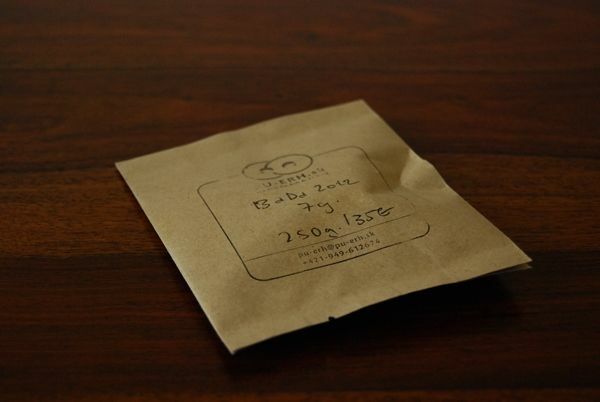 This first sample comes thanks to the generosity of Bannacha, although it doesn't seem to be available there any more. I appreciate the range of decently-priced cakes there, and have been enjoying some of William's samples lately. I found this Mengku Jinqiao cake for sale for 20 euro at a Barcelona outfit by the name of Cajchai, which, the web-site informs me, should be pronounced "chai chai". They note that the cake froms from two villages near Xibanshan in Mengku county of Lincang prefecture. The "Xiaoyangchun" name suggests springtime, but it is in fact an autumnal cake. 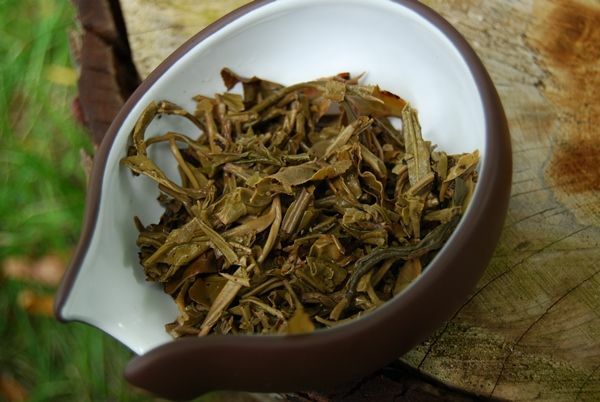 The leaves look healthy, and the blend comprises both tips and basis leaves, which may well help its cause by offering the best of both worlds. Oddly, while I was Googling for information concerning this cake, I came across a German web-site which (in German) was discussing my personal preference for Lincang cakes (!). I should get some "I heart Lincang prefecture" t-shirts printed. "Ich liebe Lincang", maybe. Which gender is Lincang diqu?! The buttery scent rather exceeds my expectations in its complexity and longevity. For good or ill, I find myself becoming more dependent on scent when it comes to pu'ercha. It is true that lighter scents are the first things to depart a cake as it ages, but that is not my meaning; rather, the content of a tea, in the relative presence of heavy and light compounds, seems readily identifiable in the scent, as well as in the mouth. 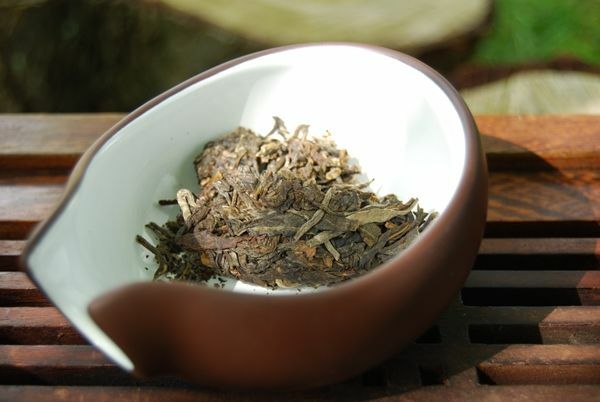 This scent is both in the wenxiangbei [aroma cup], but also in the dry leaves themselves. The correlation between progression and components of the scent, and the progression and contents revealed by the soup in the mouth, often takes me by surprise. Perhaps it shouldn't, given the nature of the olefactory senses. 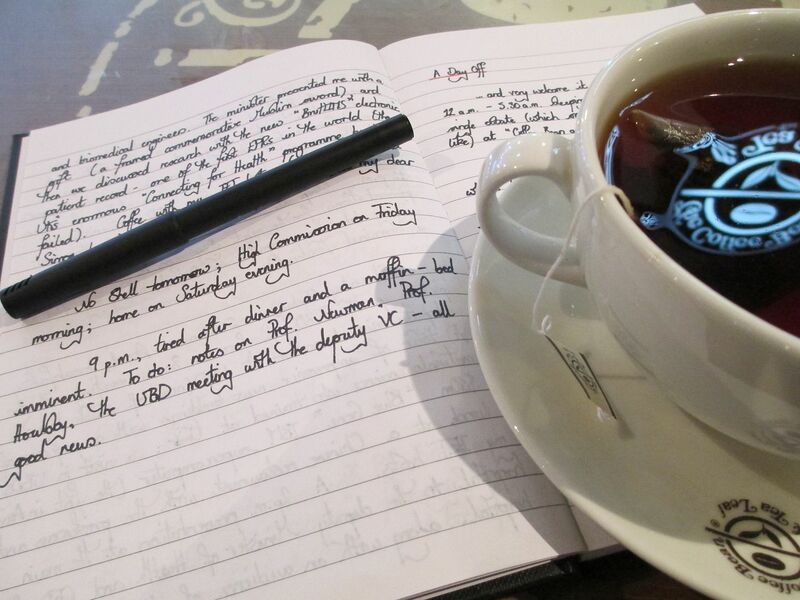 I wrote in my diary that "this is not a grand tea, but it is rather good". I should note that the seemingly low price of 20 euro buys you just 100g of xiaobing, and so, when scaled up to a full bing-equivalent 357g, it suddenly seems rather pricey. There is a cooling sensation to be found, which is very positive, and, while it does have a low ceiling of green heaviness, it does a decent job of penetrating the mouth with its sweetness. 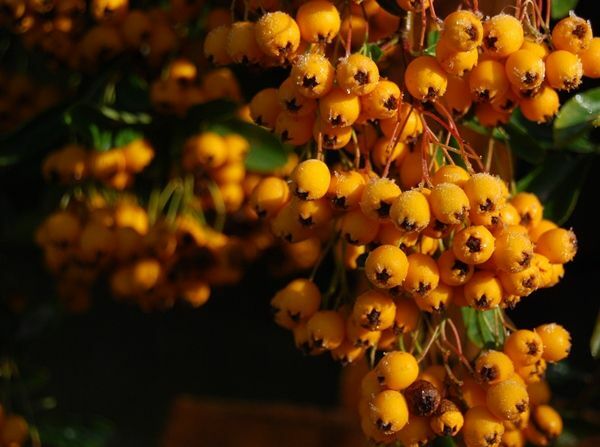 It has the nature of soft fruits, in keeping with its autumnal nature, but yet has some backbone - something autumnal teas can, from time to time, lack. Perhaps if priced more reasonably, this would be a worthwhile punt. 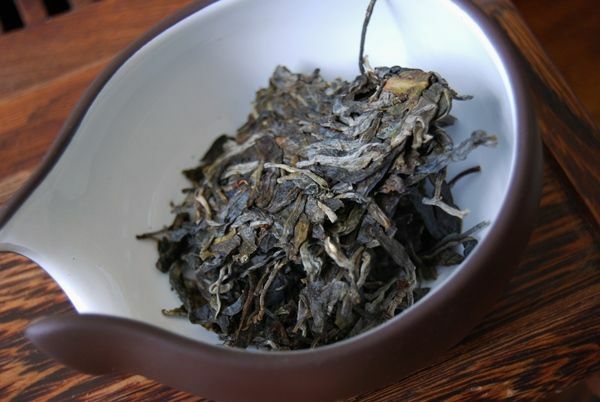 Jinuoshan is what we drinkers may otherwise know as Youleshan, which is the old name for the region and the Chinese minority that live there (Jinuo / Youle). 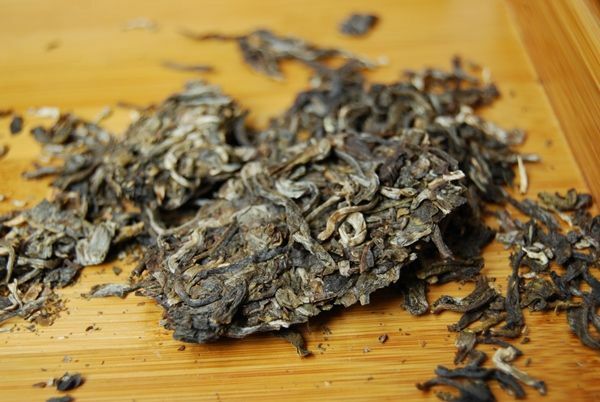 Thanks to THE JAKUB for supplying this sample, which is called "Taiyangqu" [sun drum], and which is sold by Yunnan Sourcing under the name "Red Sun Drum" for $40. 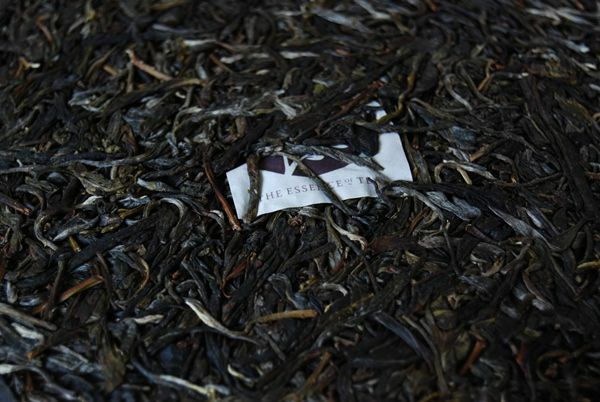 Scott notes that it has been stored in Xishuangbanna, which is a good place to keep tea. 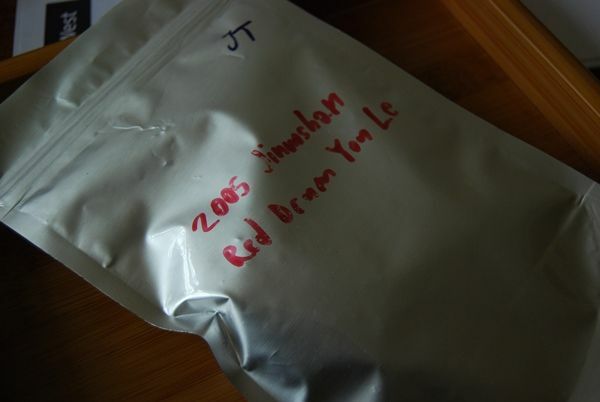 This 2005 tea is similar to the very strange 2004 version. I couldn't get on with the latter, finding it to be almost processed to oblivion. 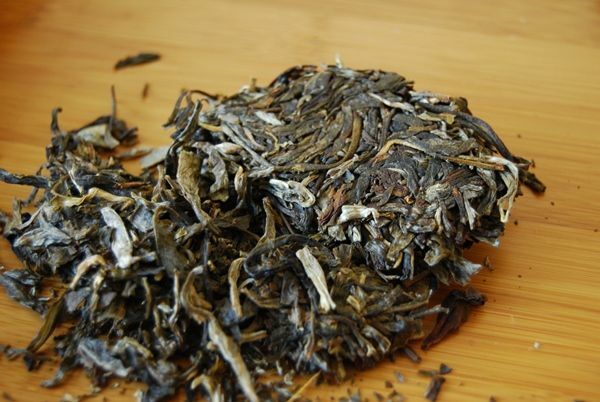 This 2005 tuocha has a fruity scent, and the body is particularly sweet. It is remarkably cooling, suhhesting that the claim that the leaves come from 50-70 year-old trees may be true. This is a better pu'ercha than the 2004, to my tastes. Despite having generally similar processing, its cooling sensation and mouthwatering finish keep it interesting. The yellow-to-orange soup has a body of malt and low, thick molasses. It is quite strange, but good fun. Perhaps unsurprisingly, it does not hold up very well in later infusions; tea processed in this manner tends to die quickly, both in later infusions, and when aging. I wrote that it "seems to have had its heart cooked out of it". As a most welcome diversion from all things academic, I am gratefully indebted to William and The Jakub for these two samples. Thanks again, chaps.